We explore how the location of this refractive boundary in exoplanet transits changes in a well-mixed isothermal atmosphere with its temperature and composition, the spectral type of the planet's host star, and the size of the planet. We demonstrate that five extra scale heights of atmosphere are hidden in a terrestrial planet with a CO2 atmosphere compared to a helium atmosphere, resulting in a flatter spectrum than from its smaller scale height alone. 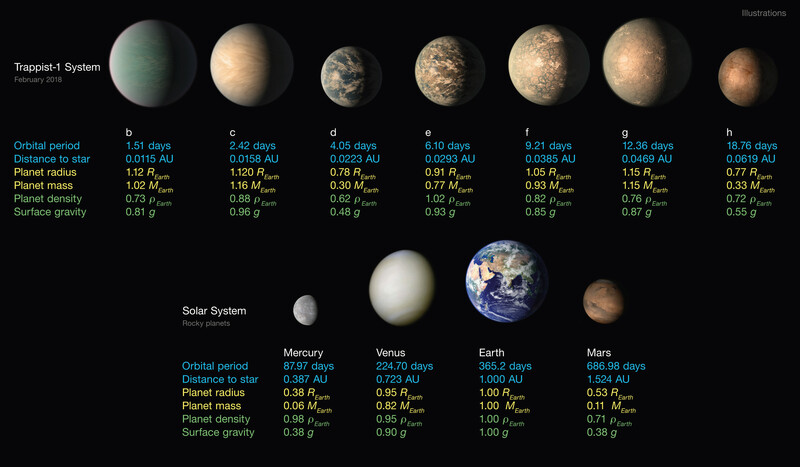 We provide results for a few exoplanets, notably those in the TRAPPIST-1 system, to help the scientific community estimate the impact of refraction on the size of spectral features without radiative transfer calculations, and thus help refine planned James Web Space Telescope observations. To further advance our understanding of these planets' compositions, energy budgets, and dynamics, we are carrying out an intensive photometric monitoring campaign of their transits with the Spitzer Space Telescope. In this context, we present 60 new transits of the TRAPPIST-1 planets observed with Spitzer/IRAC in February and March 2017.
that TRAPPIST-1 paper is quite interesting! many thanks for your very valuable communications about the Trappist-1 system!